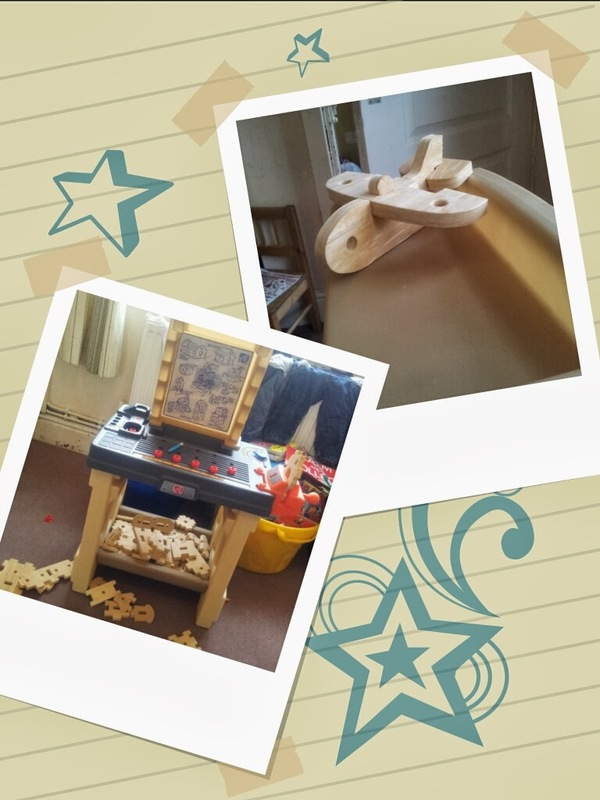 We were recently sent, by the lovely people at Activity Toys Direct, the Step2 Real Projects Workshop to review as part of their Play Ambassador programme that we're lucky enough to be a part of. This particular item especially appealed to us as two out of three of The Spawn are especially canny builders. Upon arrival The Husband looked dubiously at the large box, envisioning turning the air blue with profanities whilst he tirelessly pieced it together, thankfully his fears were unfounded. Like most Step2 items, this is parent friendly to put together, nothing at all fiddly about it. It even satisfied that curious male inability to look at the instructions, it was that simple. Once assembled it looks appealing with it's chunky rounded design it appears sturdy and it can withstand the somewhat brutal playful enthusiasm of an imaginative preschooler. We've had a workshop in the past for Thing One, it was an overpriced flimsy plastic thing with far too many small pieces. It was poorly made, overwhelming, uninspiring and was never used. Companies often forget that less can be so much more, simplicity is incredibly more appealing as it leaves breathing room for creativity to breed. It's not too big, it's tactile yet not fiddly, it's strong yet not too heavy and is visually appealing. This workshop has hit the nail on the head, it's chunky design and accessories are a huge win. It even comes with some 'fake' wood made out of a stiff foamy texture, they are various shapes and slot and piece together, sometimes with the aid of the nice bright chunky screws to become a multitude of creations. These are much more tangible for little hands than thin plastic bits and have the added bonus of being suitable for playing with in the bath too! 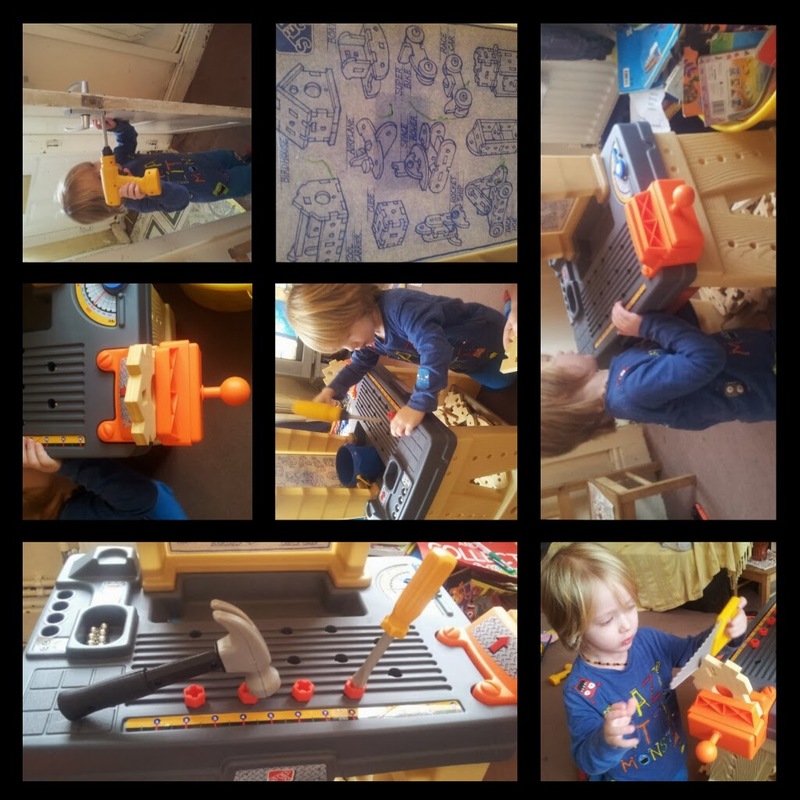 We especially love the little 'vice' and the preschooler is drawn to using the drill on the screws. It even comes with it's own 'blue prints' of things that can be made that gives it a quirky 'grown up' feel for that more complete role playing experience. The only con to this product for me personally is that The Preschooler loves to pull out the orange storage tray and I struggle to replace it. This is obviously my failing and not the items seeing as Thing Two easily replaces it just before I get to that throwing it out the window in a grown up tantrum point. The main worry we have with 'bigger toys' is that there's a huge hit or miss situation. There's rarely a grey area, it's either a massive hit or a total doozy that gathers dust and reminds you every time you see it taking up room in your house that you wasted money. I'm happy to say that at the Party of Five (soon to be six!) have declared this a hit. 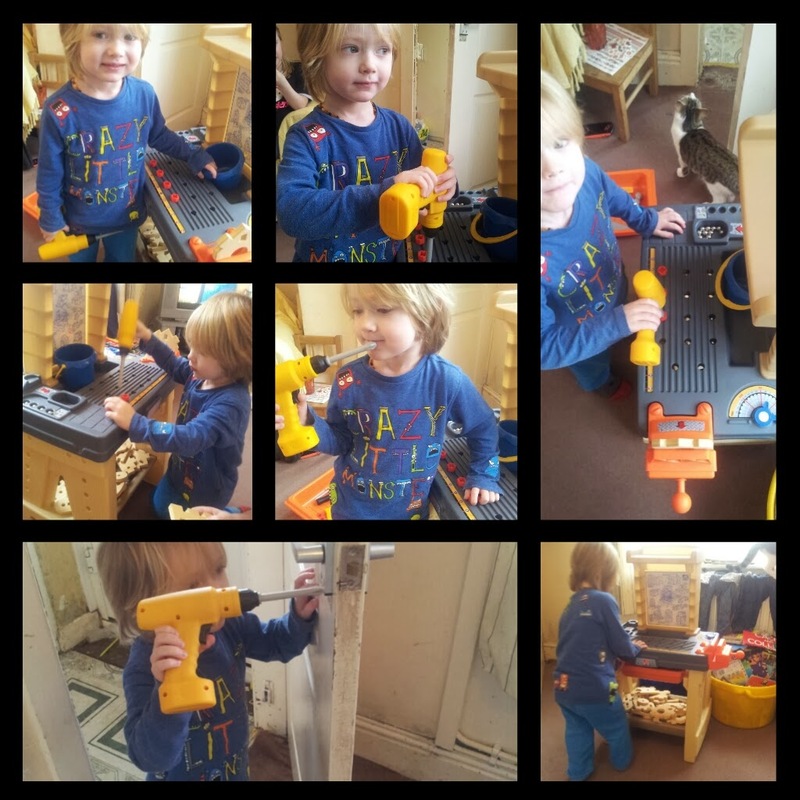 We highly recommend it for the little builders in your life. As always we also recommend Activity Toys Direct, they're competitively priced, trust me I've done some googling on the matter! Yet regardless of exceedingly good prices, they're a decent friendly company, good customer service is priceless.